Pheathers – Did You Know? Did you know February is National Bird Feeding Month? 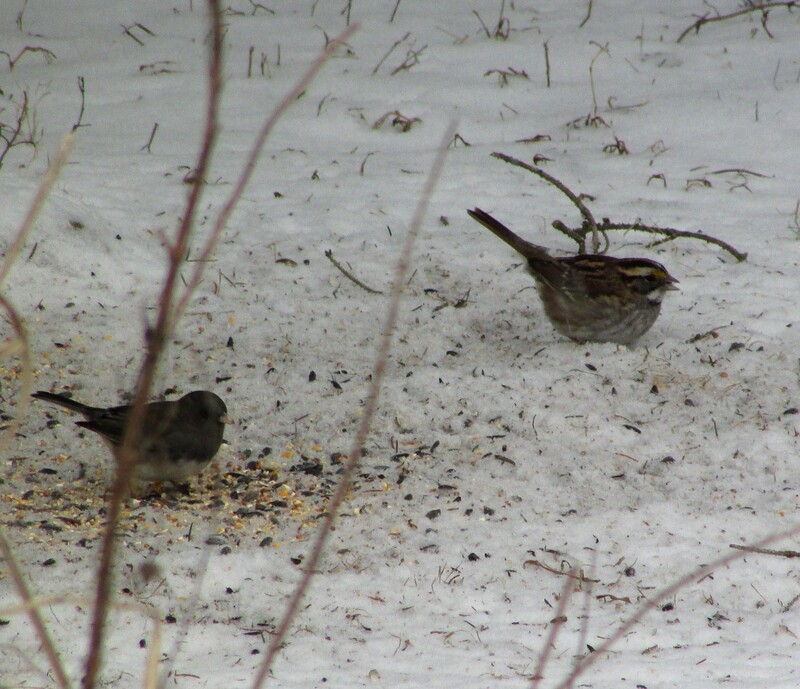 These were birds at my feeder yesterday in the small snow squall that came through New Jersey. It’s also groundhog day, but because of my problems with those pesky groundhogs, it’s definitely not on my list of celebration days. I didn’t know there was a site dedicated to informing those unaware of what national day you can commemorate, but there is and you can find it here: National Today.